...with JAMES BROWN! The Godfather of Soul, y'all, with his star time on the T.A.M.I. 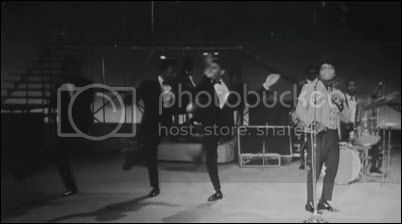 Show in 1964; your setlist includes "Out of Sight", "Prisoner of Love", "Please, Please, Please" and "Night Train." TEDESCHI TRUCKS BAND advance streams Signs. HAYES CARLL advance streams What It Is. LADYTRON advance streams a self-titled LP. MANFRED MANN'S EARTH BAND, "Blinded by the Light," Live in '75. BOB MOULD talks to Rolling Stone about his upbeat new LP, Grant Hart, and more. MILLENNIALS prefer music from the 20th century's "golden age" of rock and pop. Melody and chords remain popular. Who knew? POST SONIC YOUTH: Kim Gordon announces an art exhibit, while Thurston Moore forms supergroup with John Paul Jones. HUEY LEWIS continues to fight a hearing loss nightmare. 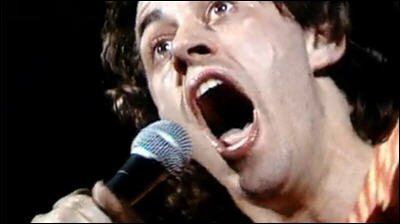 THE NUMBER ONES looks at Donny Osmond's godawful simper "Go Away Little Girl." NOW SHOWING: This weekend's wide releases include The LEGO Movie 2: The Second Part, which is currently scoring 88 percent on the ol' Tomatometer; What Men Want, which is scoring 58 percent; Cold Pursuit, scoring 83 percent; and The Prodigy, scoring 57 percent. LIAM NEESON gets an odd defense from Michelle Rodriguez. JEFF BEZOS accuses the National Enquirer of extortion involving x-rated pictures. MY BEST FRIEND'S WEDDING: The cast reunites for Entertainment Weekly's rom-com issue. STEVE BUSCEMI reacts to the DeepFake swapping his face onto Jennifer Lawrence. GARY BUSEY is now an official Citizen with Cherokee Nation. He's running. A TODDLER tucks in a bulldog. AN OTTER fears a robot crab, but eventually figures it out. AN EGGROLL-EATING SQUIRREL captivates a gullible internet. THE USPS is honoring the nation's "brave and loyal military working dogs" with a 2019 forever stamp collection. It seems I have a corneal abrasion, but Things. A FEW THINGS, because there didn't seem like a ton worth reading when you have a corneal abrasion. KURT VILE plays a Tiny Desk Concert. ALL SONGS: The latest ep features T Bone Burnett, John Vanderslice,and more. BECK, ROBYN * THE LONELY ISLAND team up for "Super Cool" from the LEGO Movie sequel. SHARON VAN ETTEN is shain' a cover of James Cleveland Moore, Sr.'s “Never Grow Old”. METRIC shares a video foe "Love You Back." THE BEATLES: How Peter Jackson’s new version of Let It Be might alter your view of the band. WAS JAMES BROWN MURDERED? CNN is taking this kinda seriously. THE NUMBER ONES looks at the Bee Gees' first US No. 1, the grandly schmaltzy ballad "How Can You Mend A Broken Heart." THE NUMBER ONES also looks at Linda & Paul McCartney's experiment "Uncle Albert/Admiral Halsey,"
LIAM NEESON responds to racism allegations following his revenge murder story. BAFTA suspended Bryan Singer's nomination for Bohemian Rhapsody. DEADPOOL will stay R-Rated in the Hose of Mouse. A RUNNER who was attacked by a mountain lion managed to save himself by choking the animal to death. OCCUPY DALES BEACH: Elephant seals completely took over a beach during the government shutdown and they're refusing to give it back. Sadly, taking a sick day. But I have This. I should be back tomorrow. MAGGIE ROGERS plays the House of Strombo, including a downbeat cover of Whitney Houston's "I Wanna Dance With Somebody." CAT POWER plays a Tiny Desk Concert. STEVE FORBERT stops by World Cafe. EX HEX shares a video for "Tough Enough." U2 gets almost four hours of analysis and discussion on the latest Political Beats podcast with guest Stephen Miller (no, not that one). PINK FLOYD's David Gilmour is auctioning his axes. LUCINDA WILLIAMS talks to the Raleigh News-Observer about revisiting Car Wheels on a Gravel Road. THE NUMBER ONES looks at Paul Revere & The Raiders' dubious protest song "Indian Reservation (The Lament Of The Cherokee Reservation Indian)." 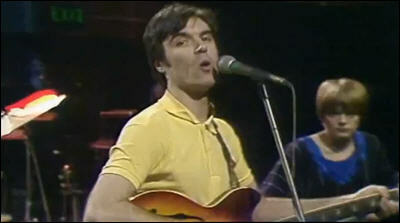 THE NUMBER ONES also looks at James Taylor's reassuring Carole King cover "You've Got A Friend." LIAM NEESON, sitting down to discuss his latest action film, recounts a disturbing incident from his past. TOY STORY 4 drops a trailer delivering on the promise of Bo Peep. GWYNETH PALTROW is expanding Goop's original content efforts. JENNIFER CONNELLY learns she had a hit song in Japan. RUSSELL CROWE transforms into Roger Ailes. JEFF BEZOS ran the 5M ad for the Washington Post because he pulled the plug on a 20M million ad for his spaceflight company, Blue Origin, after it was revealed his mistress had helped shoot footage for the commercial. LEGION will end with Season 3 on FX. AUSTIN JONES, a 26-year-old YouTube star, pleaded guilty Friday to child pr0n charges. THESE FLIPPING CHIHUAHUAS will melt your heart. RODENTS' incisors are constantly growing. Shudder. AN AUSSIE FISHERMAN used a dead shark as a bong. FLORIDA MAN feud flares over runaway llamas, guns and a barbecued pig. 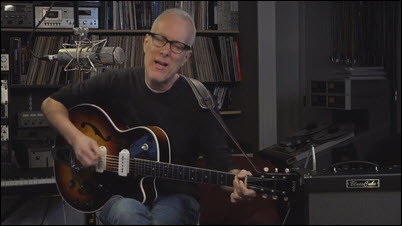 JON PRATT: Pate's frontman plays a new song, "Quittin' Time" on yet another vintage guitar. THE DAY THE MUSIC DIED. It's 60 winters later, but the passing of Buddy Holly, Ritchie Valens and J.P. "The Big Bopper" Richardson in a plane crash outside Clear Lake, IA is still bringing people to the historic Surf Ballroom, as well as the Riverside Ballroom, where the Winter Dance Party made its penultimate stop. So it's worth linking to an MPR audio feature on the Winter Dance Party and a Weekend Edition piece on Buddy Holly's old classmates.. We'll start with sove video of Buddy Holly playing "That'll Be the Day," and "Peggy Sue." There's even less video of Valens, outside this lipsync of "Ooh, My Head! ", but there's rare live audio of "La Bamba" and "Donna" on the Tube. And no survey would be complete without the Bopper's signature song, "Chantilly Lace." 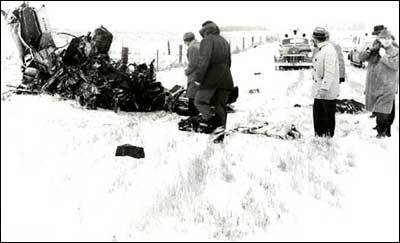 The tragedy has echoed through the years in movies like The Buddy Holly Story and La Bamba. The latter featured Los Lobos, who would make "La Bamba" a hit again almost 30 years later, with Marshall Crenshaw as Holly, who can be seen here covering "Crying, Waiting Hoping", introduced by Wolfman Jack. BONUS: The Current reports on the Hily Rocka Rollaz playing the Surf Ballrooom over the weejkend. The band's frontman, Mark Flora, is an Iowa State alum who fronted a band called The Law at the same time Pate was a going concern. I also wrote record reviews for him when he was the Arts & Entertainment editor for the Iowa State Daily. It's a small world, after all. 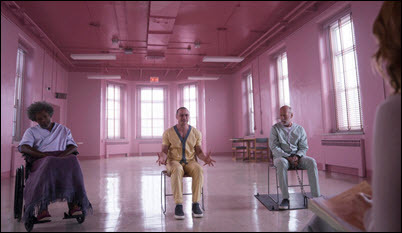 WEEKEND BOX OFFICE: Glass threepeats atop the chart with 9.5MM on a 50 percent drop that could have been worse on the Big Game weekend.It's lagging its predecessor, Split, by about 10MM, but already in the black on a 20MM production budget. The Upside places with 8.9MM on a leggy 6 percent drop. The debut of Miss Bala shows with 6.7MM against a 15MM budget; the poor reviews likely stopped this from becoming a truly effective bit of counter-programming. Aquaman hangs onto the fourth spot with another 4.8MM on a 34 percent drop. Spider-Man: Into the Spiderverse rounds out the Top Five with another 4.4MM on a 28 percent drop. The superheroes will probably fade once the LEGO Movie 2 and Alita: Battle Angel arrive over the next couple of weekends. Meanwhile, I must note that Peter Jackson's WWI documentary, They Shall Not Grow Old, landed in tenth place with 2.4MM on about 725 screens; its 10.7MM US total to date suggests it just might beat out the domestic gross for Mortal Engines, which Jackson co-wrote. TRAILER BOWL: The Big Game brought trailers for Avengers: Endgame, Captain Marvel, Us, Hobbs & Shaw, Alita: Battle Angel, and Scary Stories to Tell in the Dark. But the one for Game of Thrones beat all of them. THE DGA AWARDS went to these folks. Congrats! KATE BECKINSALE & PETE DAVIDSON looked like an item at his stand-up show. LIAM PAYNE & NAOMI CAMPBELL may be getting it on. BOW WOW was arrested following a fight with a woman in Atlanta. EDIE McCLURG, best known for playing Grace -- Principal Rooney's secretary -- in Ferris Bueller's Day Off, is battling dementia ... according to family and friends who say they're trying to protect her from a guy who's allegedly taking advantage of her. A CAT interrupts a soccer game.